It’s that time of year again when we get our costumes and fake blood ready and dust off the old spooky song file! 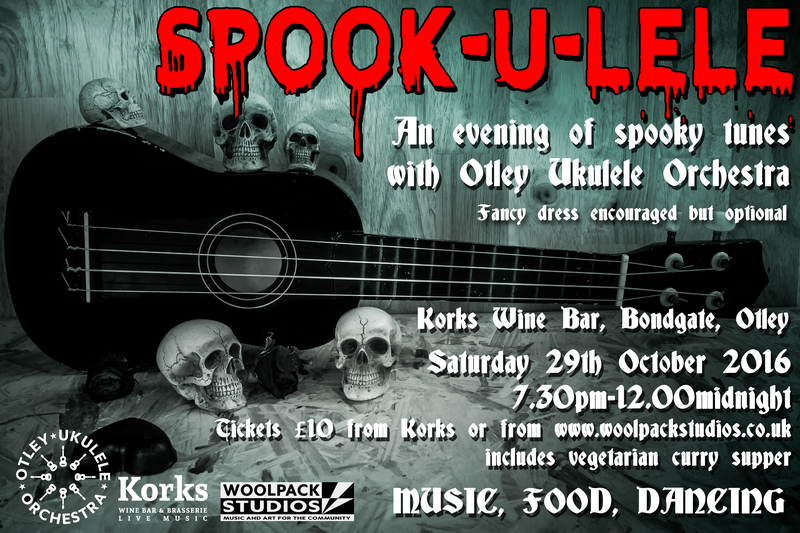 We’re delighted to be teaming up with Korks this year for our Spookulele event – and it’s going to be the biggest and best yet! Tagged as gig, KORKS, spook-u-lele! We’re delighted to be performing twice at this year’s Otley Folk Festival! We’re also performing outside The Woolpack Studios from 4pm. 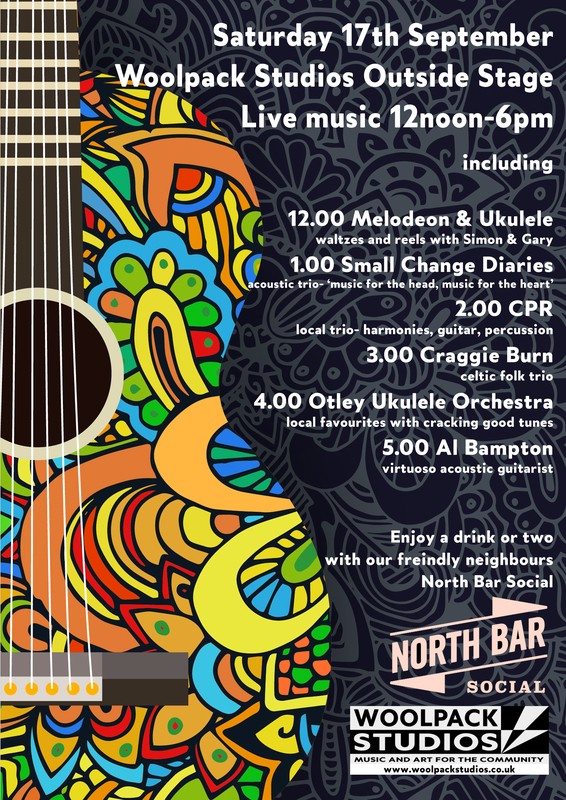 There’ll be music on outside The Woolpack Studios from 12pm-6pm. Pop down if you can! I hope you will be able to join us for our first session back after the summer break – this Monday 5th September 7pm-9pm. We’ll be learning lots of new songs together and continuing to develop our ukulele skills! The sessions are open to players of all abilities – some will be 4-chord fun songs and some will have more challenging parts – but there will always be something for everyone! We’ve got Otley Folk Festival, Otley Beer Festival and Spookulele to look forward to all before December… so I hope you can come and be a part of the funnest and friendliest band in town!